That Ohio is right in the middle of a thriving Amish community should not be a shock to anyone, but many people see the bustle and flow of the capital city and scoff about it. But, just outside of the capital lies Westerville, where Amish Ohio furniture is not only available but one of the major industries in the area. Amish Originals was established in the Franklin County, Ohio area in 1992, locating in the uptown Westerville area to be near the bigger cities, but tucked away in a nice community with historic value and some real tourist attractions. A little furniture shopping to end your trip is a perfect way to not only round out your other adventures but to have a long lasting reminder once you get home. Amish furniture is so well built that it can be handed down from generation to generation. Furniture is not meant to be replaced every few years. It should be made with quality materials and time honored workmanship. The Amish have long built furniture that is meant to last, and it is now available here. In addition, you can do something unique – shop at AmishOriginals.com to check out the furniture selection before you make your final choice. There is also a clearance page that can allow you to buy this top quality furniture at an incredible price. 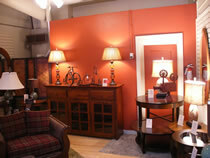 Your furniture is yours because you make the choices for your wood type, the finishes and other aspects and details. That means that your furniture might be bought from the same place but will not look the same as anyone else’s. Amish Ohio furniture can grace every single room of the house, from your home office to your kitchen, dining room or bedroom. You can buy this furniture for your children so that you know it is going to be built to last through whatever they dish out. You can even find beautiful, durable furniture for your patio, deck or porch as well. Outdoor furniture or inside, you want to buy furniture that will provide you value for the money, not fall apart or start looking aged and worn too quickly. You also don’t want to have to spend all of your time driving through winding country roads to find the Amish Ohio furniture that you want- in some Amish communities, the men will not deal with outsiders directly. You can find what you need at Amish Originals – for every room of your house.